يضمن فندق Aurora Alice Springs Hotel الذي رمم في 2008 لزائريه قضاء وقت ممتع في أليس سبرينجس، سواء جاؤوا في رحلة عمل أو سياحة. يسهل الوصول إلى هذا الفندق ذو 4 نجوم من المطار، فهو يبعد عنه مسافة 18 km فقط. يضفي محيط الفندق اللطيف وقربه من بوبانيا تورلا, Talapi, مسرح ساوندس اوف ستار لايت سحراً خاصاً على هذا الفندق. 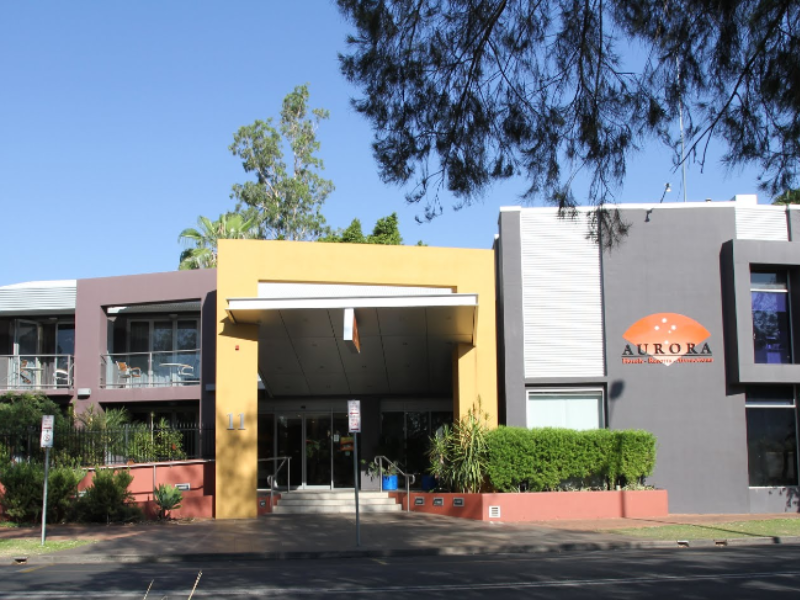 يعرف 1834 Hotels بالمستوى الراقي لخدماته ولباقة موظفيه، وهذا ما ستجده في Aurora Alice Springs Hotel. يقدم الفندق فرصة للاستمتاع بشريحة واسعة من الخدمات بما فيها: تخزين الأمتعة, صف السيارات, غرفة عائلية, مرافق للشواء, مطعم . ادخل إلى واحدة من الغرف 109 وتخلص من عناء نهار طويل بمساعدة مجموعة كبيرة من الخدمات كمثل تلفزيون بشاشة مسطحة, اتصال لاسلكي بشبكة الإنترنت (مجاني), حوض الاسترخاء, غرف لغير المدخنين, مكيف هواء الموجودة في بعض الغرف. يقدم الفندق مجموعة واسعة من وسائل الراحة المتنوعة، كمثل: حوض استحمام ساخن, مسار جولف - ضمن 3 كم, حمام سباحة خارجي, سبا, حديقة. يحظى فندق Aurora Alice Springs Hotel بموقع ممتاز وخدمات يصعب منافستها. Every day no cleaning my room unless rang up them and chasing them and cleaning my room. 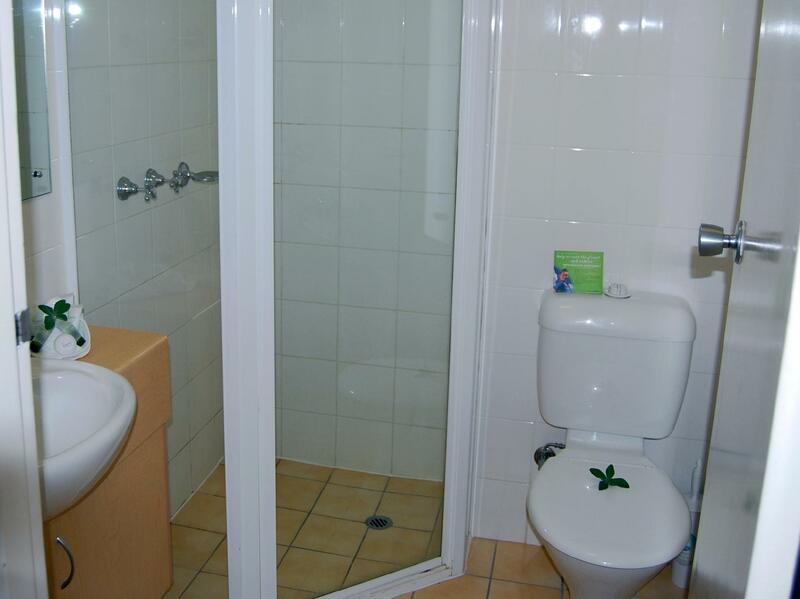 Great location, right in the heart of town. Staff were very accommodating. 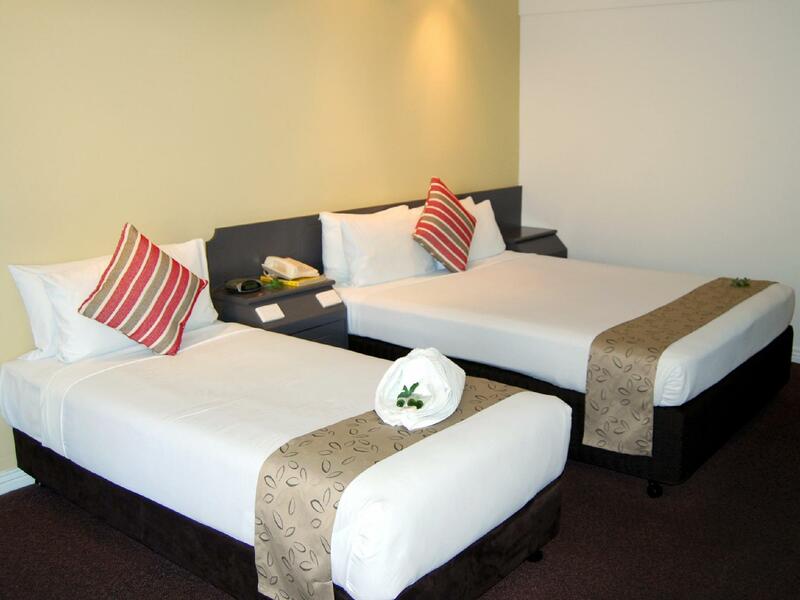 The hotel adjoins a famous local restaurant, which is also next to the Todd Mall that has everything you need. The room itself was clean and spacious, the beds were comfortable too. Overall Aurora is a good place to unwind after visiting the Red Center. Awful standard rooms, unclean, musty and hot with no windows. The location is perfect, situated between Todd River and Todd Mall. BBQ Facilities, Balcony seating, Comfortable beds, Car Park a bit tight. Excellent location, but poor hygiene, I must have spent around AUD$100 worth of cleaning agents/products to clean the room. The blankets are particularly filthy, the housekeeping staff although very friendly but lacks proper house keeping training, the reception staff mostly very helpful but they can also benefit from more training. The hotel is badly in need of a major renovation, no matter how tidy the room is...it is really dirty, the only saving grace to this hotel is it's location. Also despite telling the front office reception person not to wake my husband and myself up in the morning (before 10 am), housekeeping kept banging on our doors and several times try coming into the room. It was quite embarrassing that one time my husband was not fully dressed and brushing his teeth...:( They only managed not to wake us up on the last three days of our stay and we stayed there for 11 days and prepaid in full for the most expensive room. All in all, I would only recommend this hotel if cleanliness or hygiene is not an issue and you need to be in the town center. The front of the hotel and the reception area give the impression that this is a very nice hotel. However our room 202 was very dark and the only window/door looked straight out onto a concrete pillar. This room should only be used for storage - never rented to paying guests. The glass door/window looked inward so everyone coming and going from the lift could look straight in. 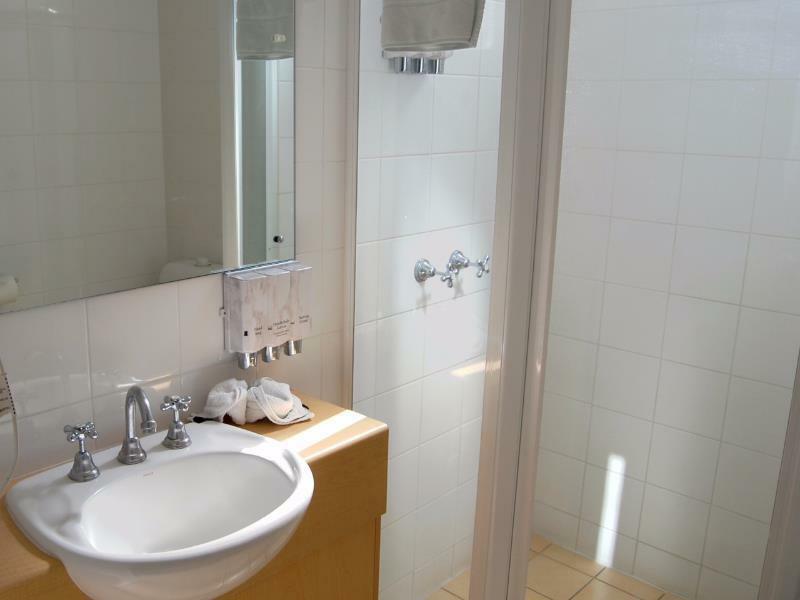 The room itself was quite comfortable but the bathroom was old and needed updating. I wouldn't stay here again. Location - good & attractive outdoor space between room blocks.. Clean. Has safe parking. We were let down. First room key was bent and didn't work. Very worryingly the outer mesh door didn't lock - no key- yet we got stuck in our room and reception had to come to let us out in the morning. Apparently this has happened before - a major risk in case of fire. (room 201) We had booked a triple room mid winter. No towel or blanket left for third person - had to go down to reception twice. Again, only 2 chairs at table despite sufficient space. Some of food at breakfast ( eg tomatoes) cold. These things could have been simply rectified and avoided. Definitely potential for quick improvement to make this a very good hotel. A good hotel in a excellent location. our first 2 nights were spent on the first floor. our last night was on the ground floor. Do not accept a ground floor room. We found this noisy,being close to the car parking. Not well sound proofed and plumbing needs to be looked at as one could hear people showering next door. Restaurant is overpriced, but the shopping centre food court was 2 minutes walk away. 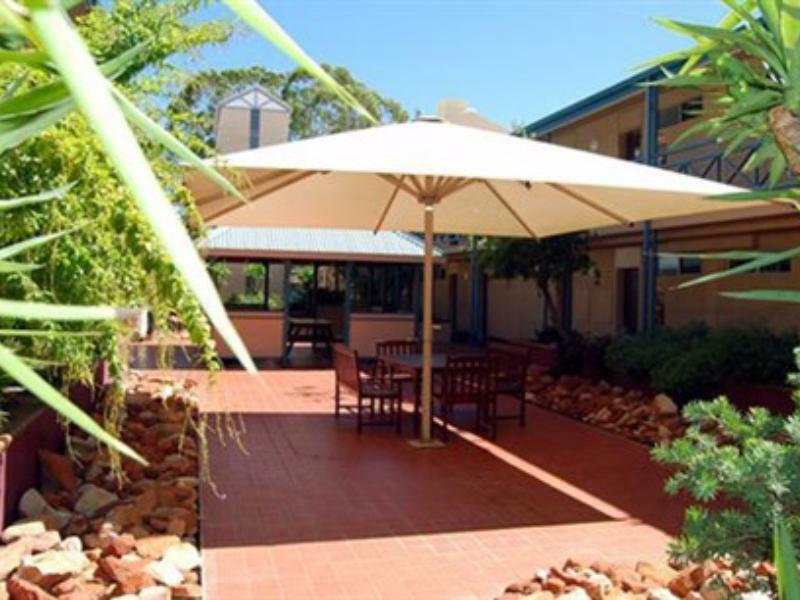 Alice Springs is a very small town and this hotel is located in the center of the town. So although the choices are small for restaurants etc. at least they are nearby.